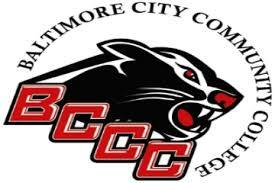 Serving primarily the residents and the business community of Baltimore, Baltimore City Community College (BCCC) is a State-sponsored, urban, comprehensive, degree-granting community college with one main campus and satellite locations throughout the city. With its broad range of degree and certificate programs, affordable tuition, and extensive outreach, BCCC offers educational opportunities at all levels to the citizens of Baltimore City, the State of Maryland, and other countries. By attending BCCC, students receive the quality education and training necessary to obtain good jobs; transfer to four year institutions; upgrade skills; or, acquire new ones to be competitive in the global marketplace.